The Four Corners Foundation was originally founded in 1976 under the blessings and guidance of H.H. 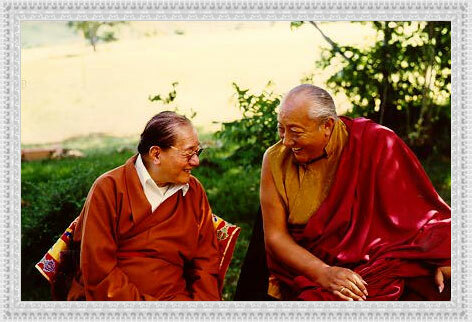 Dudjom Jigdral Yeshe Dorje and H.H Dilgo Khyentze Rinpoches. It is a Vajrayana Buddhist Church and has been acknowledged by the Four main orders of the Tibetan Vajrayana Buddhist traditions. It is recognized as a 501 (c) 3 tax-exempt (Vajrayana) Church under the laws of the United States of America. and the Dharma will come to the Land of the Red Man.